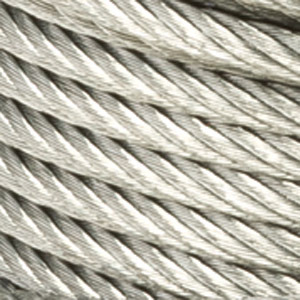 Galvanized Aircraft cable 1/4“, 5/16“ or 3/8“ diameter. and marine applications. Working load 7400 lbs..